Universal Lighting System LV2 MR16 Lamp is the perfect way to transform your old halogen light to energy-efficient LED! Rated for 30,000 hours at 12 volts, these lamps feature a 3-Year warranty! 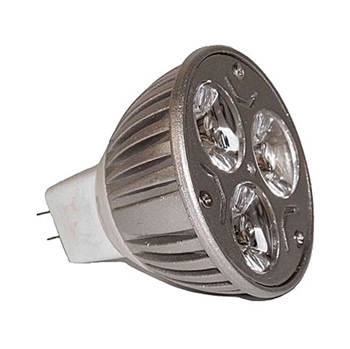 The LV2 MR16 LED lamps are equivalent to a 20 watt halogen lamps!